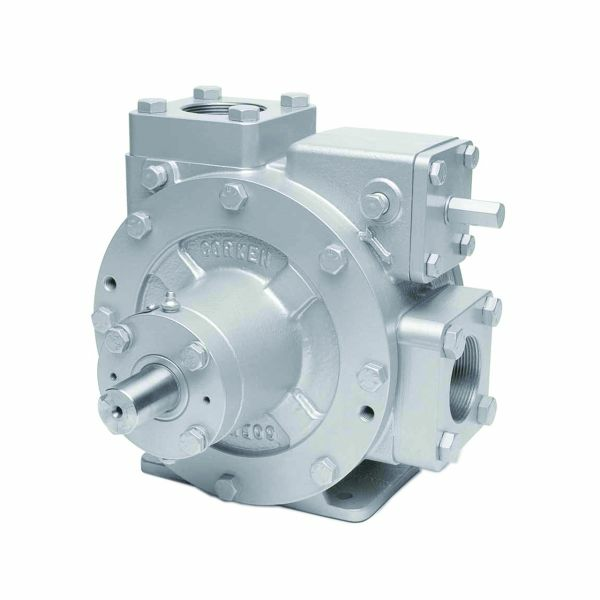 The PZ-Series sliding vane pumps are specifically designed for petroleum products and industrial solvents. This industrial pump line is ideal for bulk pump loading and unloading, fuel oil delivery truck, and transport applications. Suitable liquids include petrochemicals, fuel oil, gasoline, biofuels, ethanol, solvents and many more. Unlike the CP- and CD-models, they do not come with a replaceable cam; however, you can replace the sideplates. They have an adjustable internal relief valve and fewer mechanical sealing options than our CP- and CD-model pumps. Available in 2” and 2.5” sizes. The Z-Series Coro-Vane® pumps, the newest line of sliding vane pumps offered by Corken, are designed with our patented needle roller thrust bearing rated for 4,000 lbs. 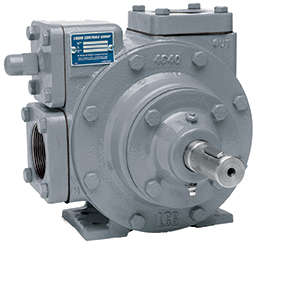 The needle roller thrust bearings protects the pump against dynamic impact loads imposed on the pump by the drive system. Premature failures due to axial thrust loads are minimized on truck applications. They have O-ring construction throughout and are rated for 400 psi (28.6 bar) working pressure. Since the Z-models sliding vane pumps are used primarily in LPG (propane & butane) and agricultural ammonia applications, the non-adjustable internal relief valve is pre-set at the factory. When the application requirements are suitable, Z-model pumps are a great option for many other liquefied gases with high vapor pressures such as natural gas liquids (NGLs), refrigerants, CO2, and many more. Applications include bulk pump transfer, propane delivery truck and transport. Available in 2”, 2.5”, 3” and 4” sizes.